It's all about the people, the place, the competition on the June long-weekend (7-10 June). 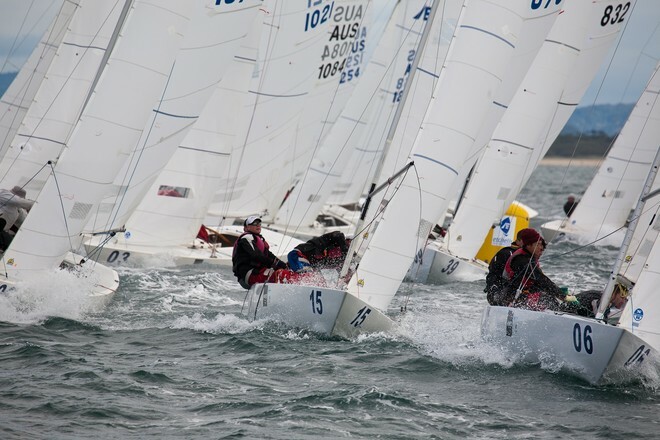 The annual Etchells Australasian Winter Championship attracts the best one-design sailors in Australasia to Mooloolaba for four days of intense sailing competition. 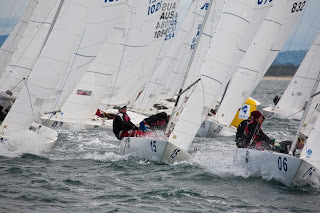 The strictly controlled one-design Etchells is one of the most competitive classes to race, with Olympians, World Champions and America's Cup sailors competing regularly in the class and in the Mooloolaba event. Add in warm winter weather, the welcome of the friendly locals, fun entertainment for the family, great food, and for the sailors easy access to the open water competition area right in front of Mooloolaba Beach, and you have the right mix for a great long weekend for the sailors, their supporters and all the spectators.